Description: In the article is proposed the method for constructing cryptographically strength Boolean functions that have controllable algebraic degree, that let increase strength of schemes permuting of information to cryptanalysis methods. Izbenko, Iu.A. and Ivashkin, A.V. 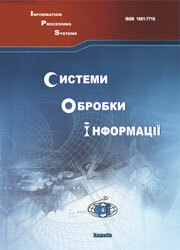 (2002), “Metod postroeniia kriptograficheski stoikikh bulevykh funktsii s kontroliruemoi algebraicheskoi stepeniu”, Information Processing Systems, Vol. 6(22), pp. 363-368.